While (G)I-DLE has set the comeback date to August 14, the music video teaser has been released. On August 13, (G)I-DLE revealed the MV teaser for the first digital single ‘HANN’. The teaser shows the members dressed in all black and dancing at an ancient temple site in a desert. ‘HANN’ was written by Soyeon, and it talks about the betrayal, breakup and the loneliness that follows. (G)I-DLE successfully carried out a flash mob in New York Time Square on August 5 and held a guerrilla concert at Washington Square Park. 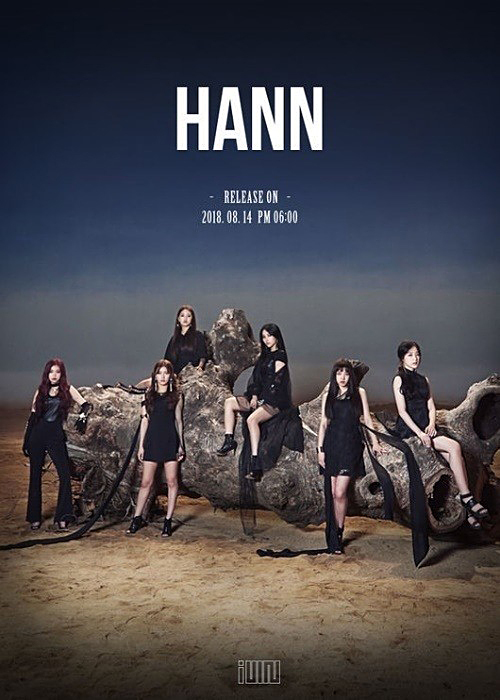 (G)I-DLE‘s first digital singe ‘HANN’ will be released online on August 14. ‘Father’ Miyeong gets jealous when Junhui kisses an actress!